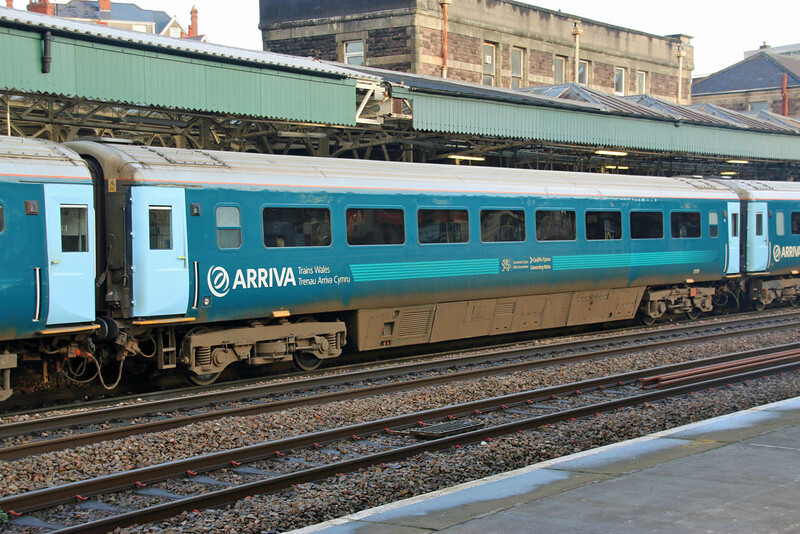 Arriva Trains Wales runs the "WAG Express" daily M-F from Holyhead - Cardiff and back, using the Welsh Marches line, which runs through England. 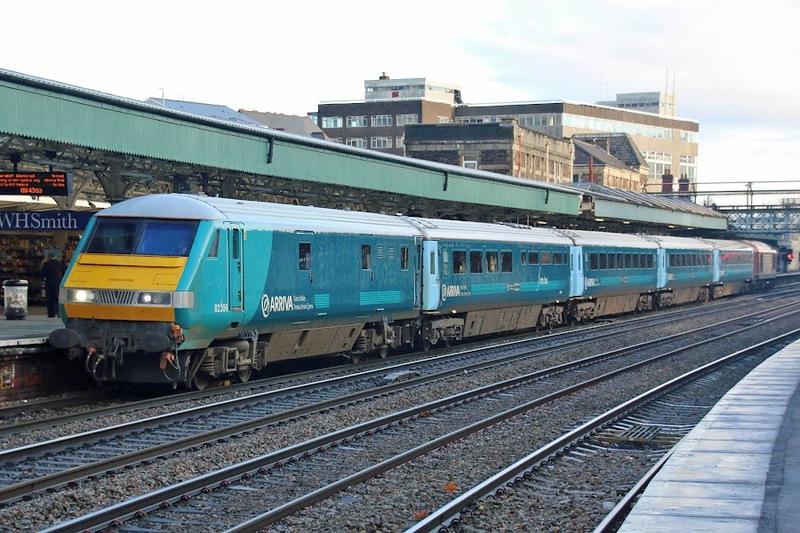 It runs to Cardiff in the morning, lays over, then returns in the evening. 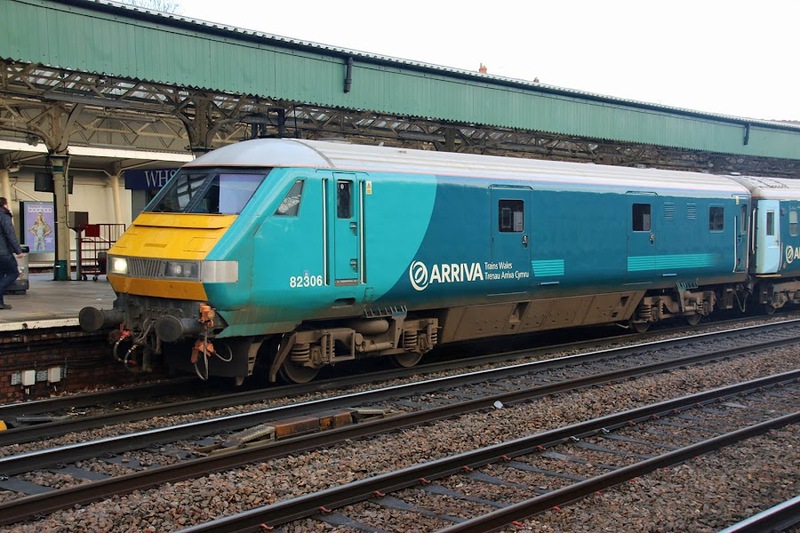 "WAG" = Welsh Assembly Government, and the train is more formally the "One Wales Express" / "Y Gerallt Gymro" ('Gerald of Wales'). It features the only first class coach on the Arriva Trains Wales network, and this further features at seat dining service - all very questionable given the subsidy and the standards of service which are provided for the rest of us on other train services. 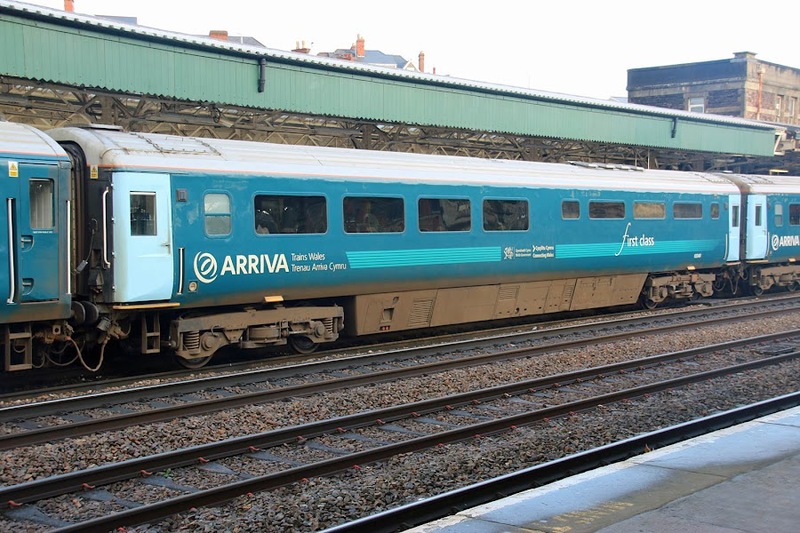 "Taxpayers pay out £22m on Welsh express train that comes complete with its own travelling chef"
"Wales' North-South express train service 'costly' and 'unnecessary'"
"Wales on rails: fine food and great views on the Holyhead to Cardiff"
The morning train is seen arriving at Newport. 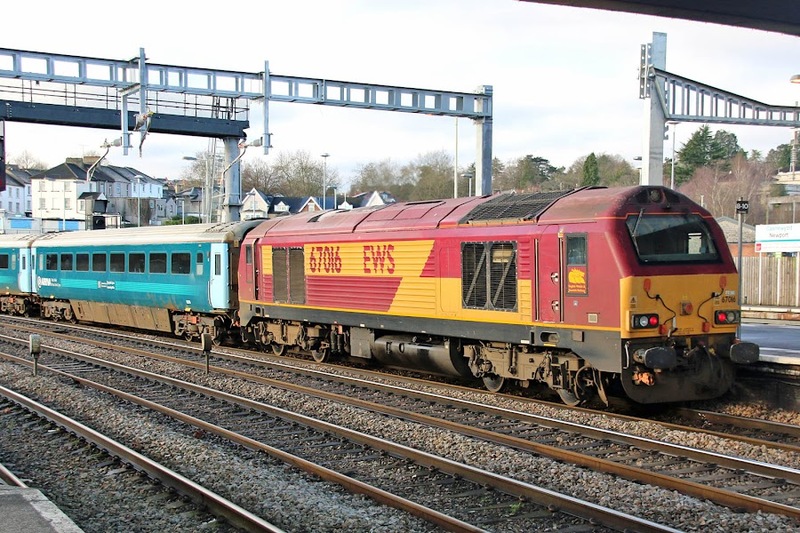 82306 is one of three Mk 3B DVTs assigned to the service, modified for AAR control operation with Class 67 locomotives. Originally 82144 built by BREL Derby to Lot 31042 in 1988. 10249 is a Mk 3A Kitchen Buffet First, originally RUB (Restaurant Buffet with Kitchen) 10012 built to Lot 30890 at Derby in 1979. 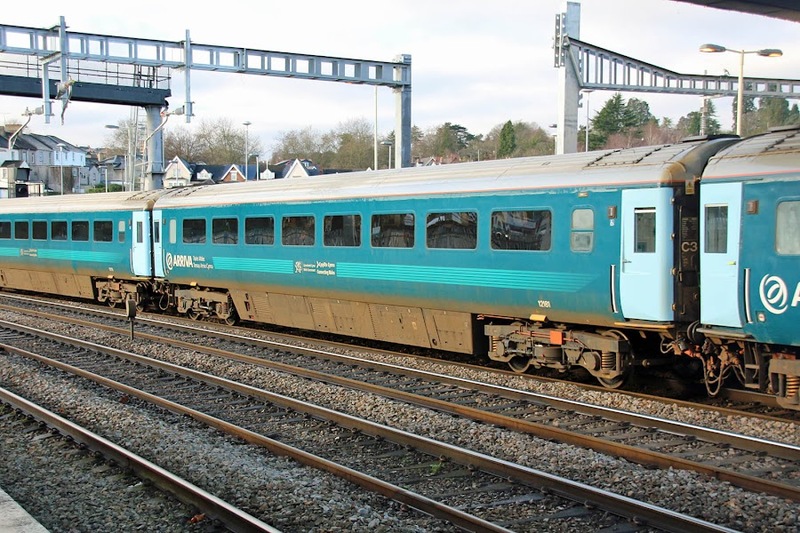 The unclassified first class style seats were later changed to being for first class, becoming RFB then RFM (Restaurant First Modular), converted in the 1984-87 period with renumbering. 12181 is of similar background, previously 11086. 12179 again similar background, originally 11083. 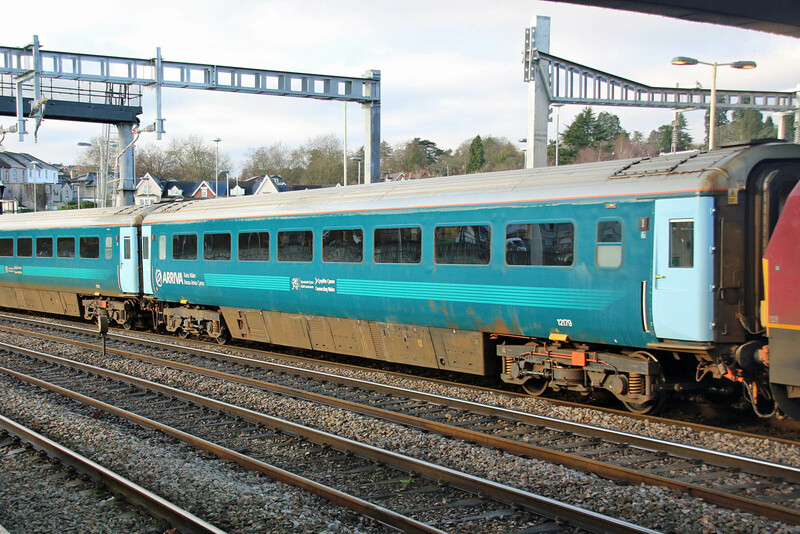 Traction on the rear of the train was 67016.